This entry was posted in 2014, Backyard Blooms, Experiments, Propagation and tagged gardening, montrose, Nancy Goodwin, nature, Plant propagation, rhizome, Spring ephemerals, trillium by missinghenrymitchell. Bookmark the permalink. Your Trilliums are exquisite! They’re really expensive over here as well which is such a shame. Good luck with your propagation experiment – I’ll look out for the update as I’d be keen to give this a try if it works. Thank you! I dearly hope the experiment works. I may give it a try with some of my bearded iris as they come into bloom–they’re a little easier to replace if things go awry. What an interesting bit of information. I don’t have any trillium but that’s more a matter of me sensibly not buying shade plants when there’s no shade to plant them in. It’s not easy to resist, but when I do get some shade and some trilliums, I will try this. I’m really looking forward to seeing how this turns out! 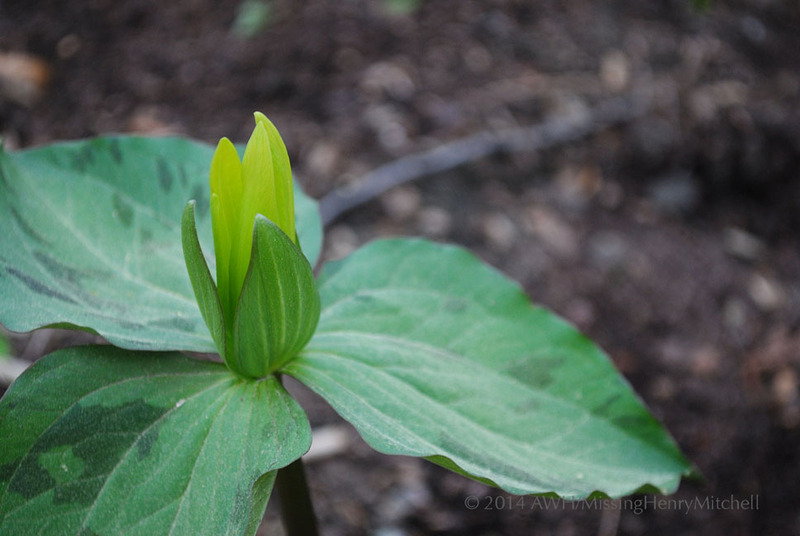 Ian Young in his blog at the SRGC sometimes posts on dividing trilliums. I think one of the things that also surprised me on trilliums was that he says the best time to transplant is while they’re in bloom….. at least I think that’s what he said. hey i am working on trillium govanianum (Nag chatri) which is found in Himalayan region of India. It is uporroted at very high pace from high altitude by villagers and it is said that it contains diosgenin. Can a tissue culture protocol be prepared for this plant.????? Hi, Shivam sharma. Tissue culture protocols are available for various species of trillium. These two links may help you. Good luck!